Summer, with its sunny days and sense of freedom, tempts us to trade routine for time outdoors. Our teachers understand the young child’s desire to daydream, explore, and wade in streams during these days. They plan experiences that allow children to unwind from the school year into a new mood, space, and rhythm. 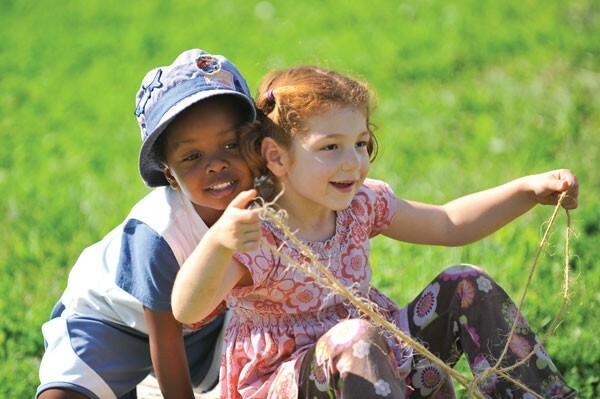 Designed to complement our September through June programs, Green Meadow Waldorf School’s summer offerings bring experiences that extend the school year for four- to seven-year-old children, and meet students with a balance of activities that engage and challenge their developing skills and capacities. In a loving, safe, beautiful environment, children work on the farm and with animals, participate in cooking and crafting, make new friends, and more.